It is called “Golden Landle” international food competition and It is one of the most prestigious food competion in Turkey. Competion is internatiol that there will be many international juries and competitors. Alanya local people show great interest to events as well. 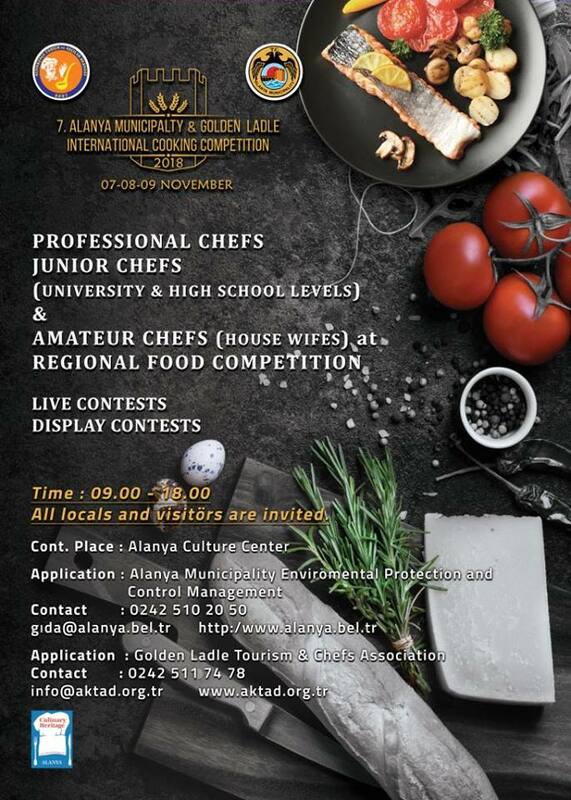 Alanya food culture is very rich and local chefs will have chance to exhibit the local tasties.